Over the years many authors have complained about the time, energy, harassment, and money required to get bookstores to stock their book. They bemoaned the fact that there was not a better way and dealing with bookstores seemed like a necessary evil to be endured, and endured and endured again. Well, now there is a better way and authors who don’t want to invest themselves or their money in bookstores have another choice. I will wait until the loud and wild applause subsides before continuing. A business associate and friend, Brian Jud, has come up with an alternative, revolutionary method to help authors sell their books to non-bookstore buyers on a non-returnable, commission basis. 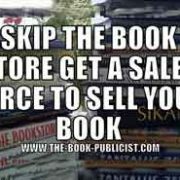 Instead of dealing with dozens of bookstores, the author can instead tap into thousands of sales persons to sell their books to buyers in schools, corporations, associations, and government agencies. Writers working with Brian Jud’s Premium Book Company, LCC, will have their books shown in a catalog used by 65,000 commissioned sales people to sell to buyers, on a non-returnable basis, with whom they have a relationship. When an order is taken the seller buys the book from the author at 60 percent off the list price and the seller pays the shipping charges. 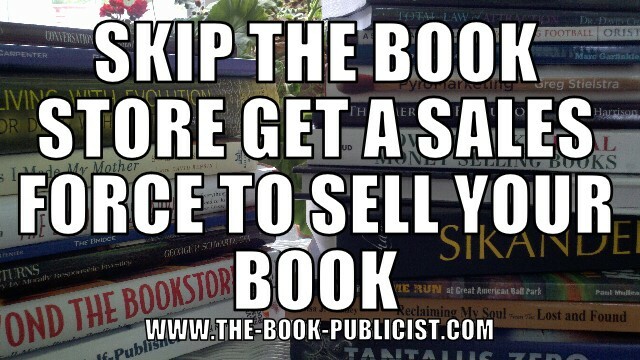 Have sales representation to non-bookstore buyers for as long as the book is in print. Have their book displayed on the company’s search engine accessible by even more sales people. Pay a one-time set up fee of $250 for the first title, $175 for the second title and $125 for each additional title added to the catalog. Have an option of buying quarter-page, half-page or full-page ads in the catalog. Be able to exhibit books at major premium shows. 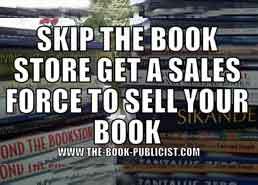 Have access to video tutorials which show how authors can tap the non-traditional book store market. The advantage to his approach is that the author can focus on writing and appearing at book signings or seminars and leave the selling to others. So there should be a shorter time between books which allows the author to build his reputation amongst readers even faster. I share the same advice with writers about why they should hire a professional PR firm to market their books. While a good idea in general, attending book fairs and exhibits also can rob authors of valuable time that could be spent researching and writing their next book. It is necessary, of course, for authors to attend book signings but there is no reason why they should not rely on the Premium Book Company to represent them and display their book(s) at trade shows, conferences, and book fairs. I would not want any writer, however, to misinterpret my comments about traditional book stores with selling books, especially digital books, at online book outlets. Any author seeking to be a best seller needs also to make their book available on amazon.com, barnesandnoble.com, and similar online outlets and hire a professional PR firm to make sure readers know the book is available. The Bottom Line: Check out the non-book store option because once a book is sold into this channel its stays sold unlike the traditional book store channel where books are ‘sold’ on consignment.